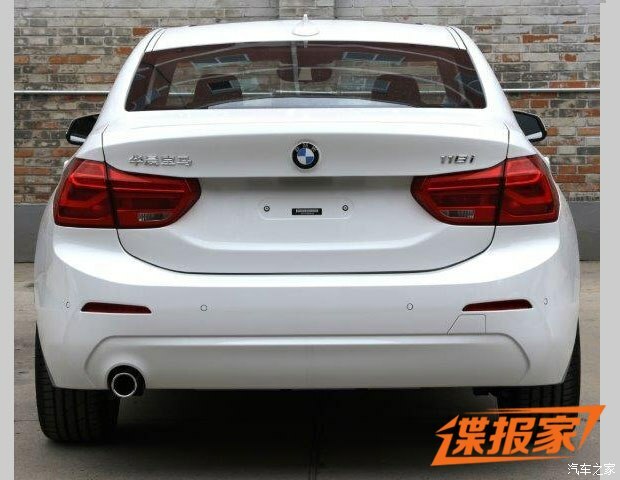 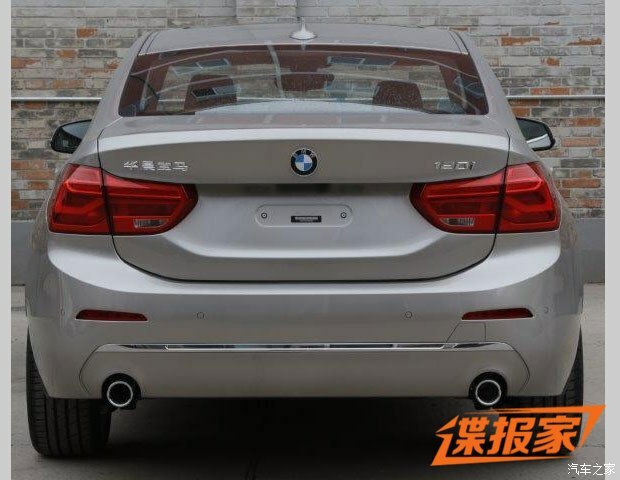 The China-only BMW 1 Series Sedan has made been revealed by Chinese site, Auto Home. 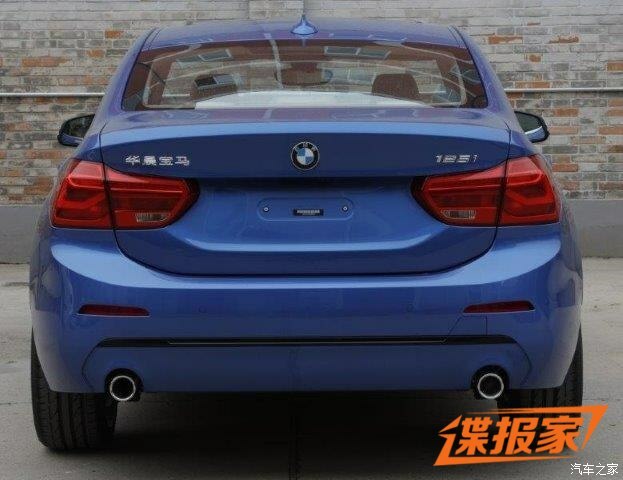 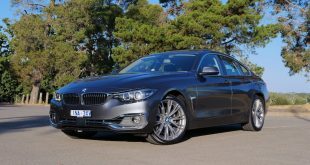 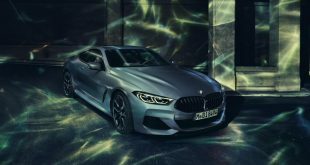 First previewed by the Concept Compact Sedan last year at the 2015 Guangzhou Auto Show, the 1 Series Sedan will be available in three variants in the Middle Kingdom – 118i, 120i Luxury and 125i Sport. 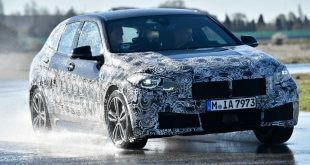 Built on the UKL platform shared with MINI models, the 1 Series Sedan is Munich’s first front-wheel drive sedan. 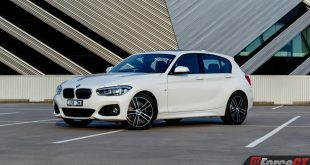 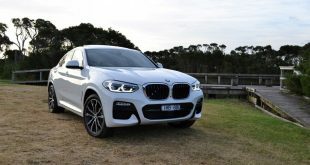 Powering the 118i is a 1.5-litre turbocharged 3-cylinder engine delivering 100kW of power, while the 120i and 125i uses a turbocharged 2.0-litre 4-cylinder engine with 141kW and 170kW, respectively. 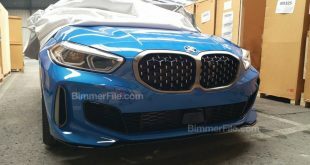 As you can see from the photos, the 1 Series Sedan shares a similar front fascia to the 1 Series hatch, albeit with different front bumper. 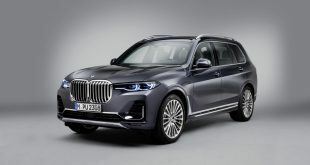 According to the site, halogen headlamps will come as standard, with LED units reserved for higher variants. 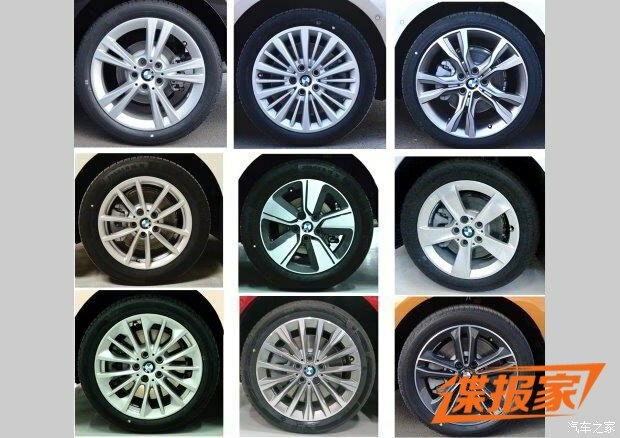 Wheel sizes range from 16- to 18-inches in diameter. 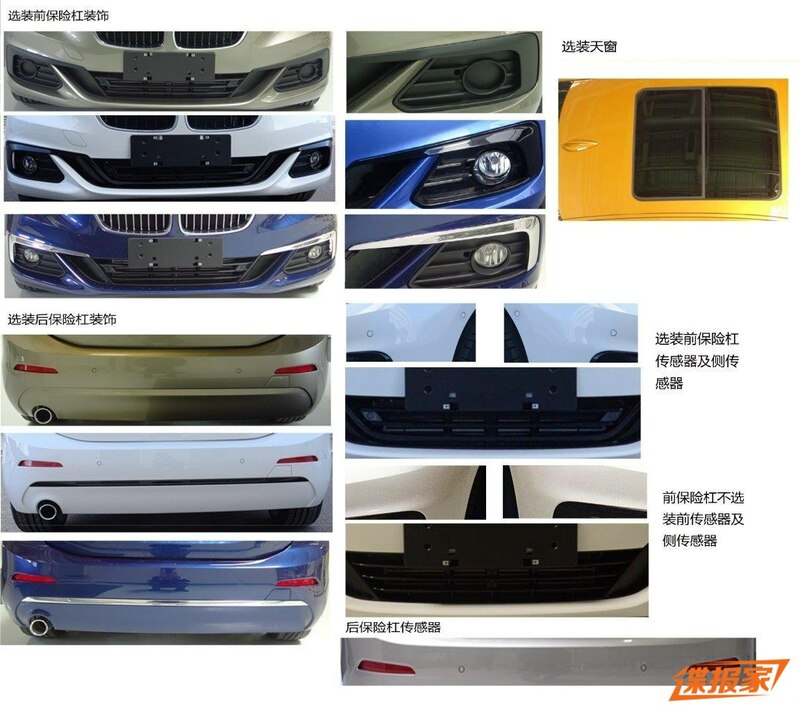 Next StreetFX Toyota 86 with a Nissan GT-R engine churns out 745kW!